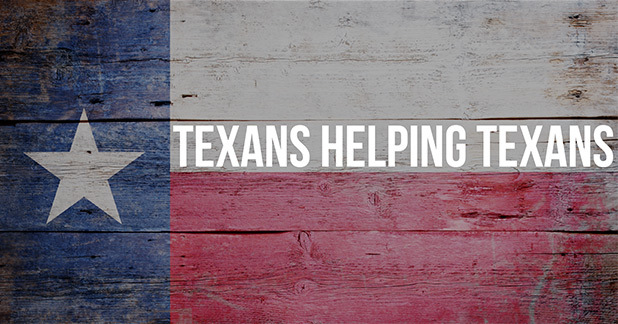 Austin Disaster Relief Network – This local nonprofit organization is accepting donations of supplies, time and money for Harvey victims. Text AUSTINRELIEF to 444999 to give. Austin Pets Alive! – asking for financial donations to help continue its efforts to support shelters in Harvey’s path. The organization has assisted in getting hundreds of pets transferred to Austin, where it’s caring for them. Houston Humane Society – has created an Amazon wish list of supplies it needs to shelter and feed hundreds of animals in its care in Houston. San Antonio Humane Society – has created the Harvey’s Heroes Emergency Fund to help the organization care for stray animals and pets whose families were forced to evacuate their homes. SPCA of Texas – caring for pets whose families have evacuated to North Texas. In Dallas, they set up a temporary animal shelter near a human shelter so owners could visit their pets. Texas Diaper Bank – apply your donation to ‘Disaster Relief’ in order to help provide emergency diaper kits to families who need them. United Way of the Coastal Bend – Text UWHARVEY to 41444 to make a donation to the disaster relief fund. United Way of Greater Houston – Donate online or text UWFLOOD to 41444. The Efficient Family is thinking of the many people who are being impacted by this storm and will continue to look for ways to support them.